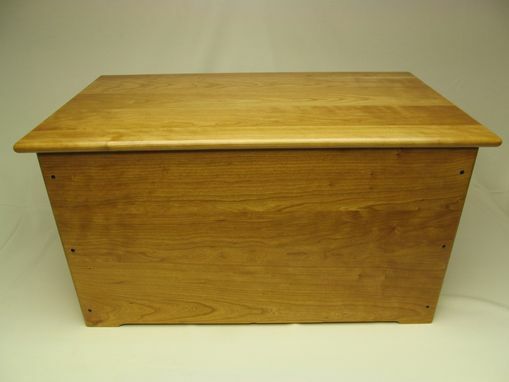 Cherry Wood Cedar Chest / Blanket ChestWe have a cherry wood blanket chest with a cedar bottom for sale. 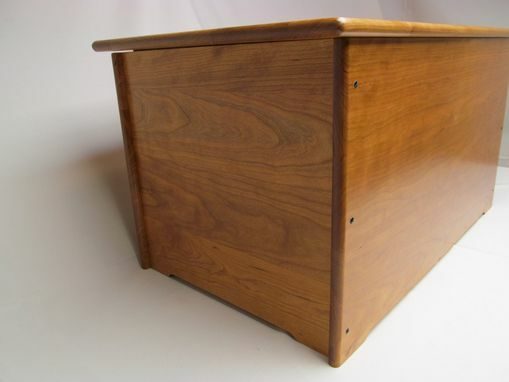 This box is made of top grade cherry and has a safety hinge which holds the lid in place to the height at it was raised upon opening. This is a dual purpose box. 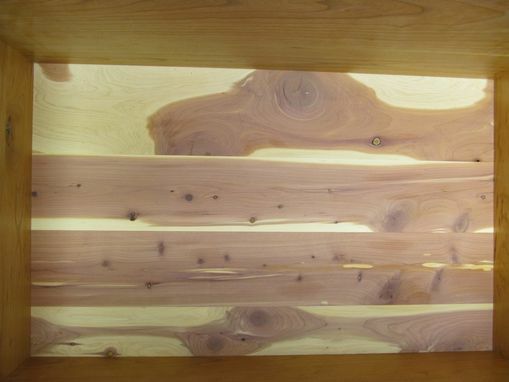 On the one hand, it provides a more contemporary look than one would get with an all cedar box, but with the cedar bottom this chest provides a measure of protection against moth damage. It measures approx 17 1/2'' high, it is 33 1/4'' long and is 19'' wide. 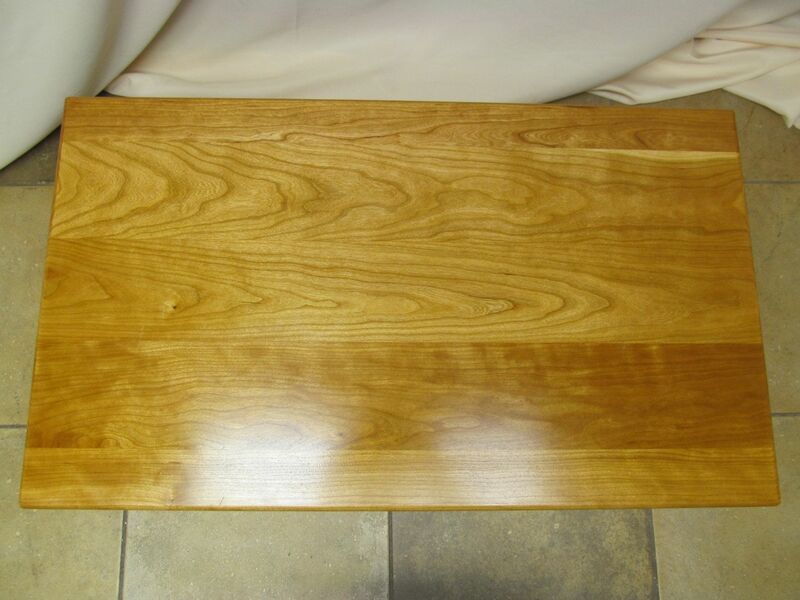 At this size the chest should fit nicely into your decor without being obtrusive and provide you with more of that always needed storage space. 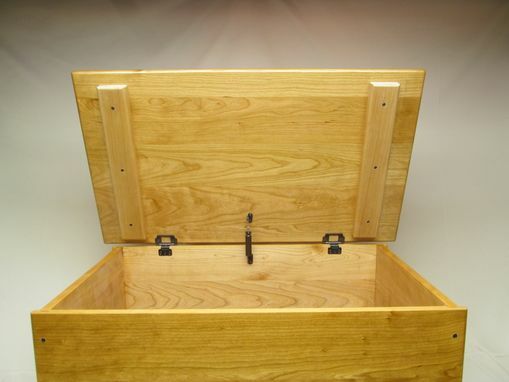 I would be happy to custom make a similar chest for you out of the woods of your choosing. The ones that I have made out of walnut look very nice. Please email or call for more information.